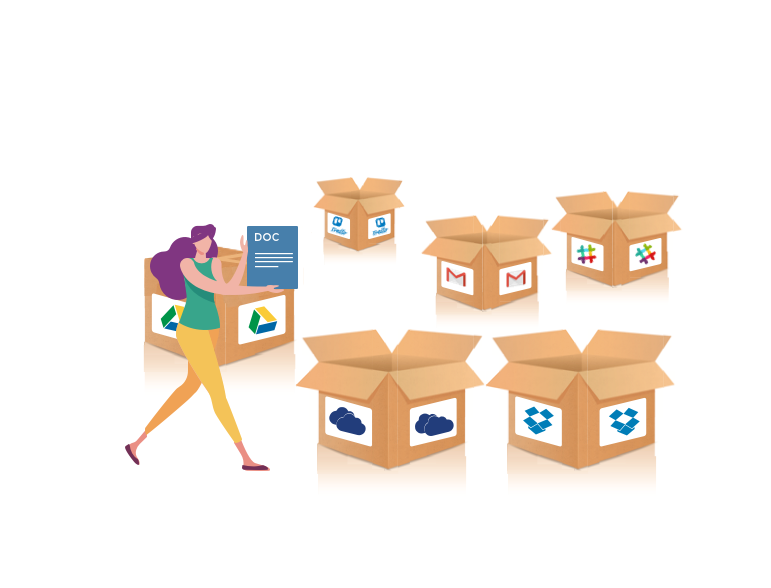 The workforce needs a frictionless way to search and share files scattered across disparate cloud business solutions that are as simple as Googling information across millions of websites for file search. 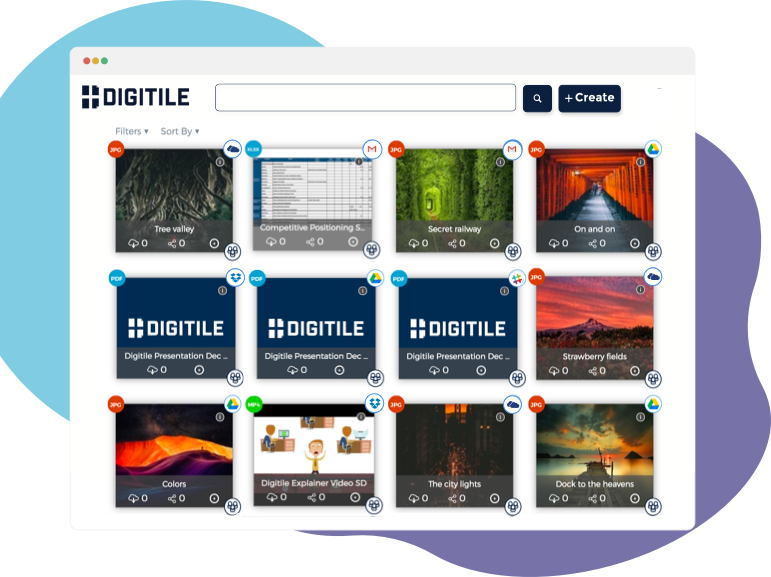 Meet Digitile, an AI-powered file search platform that makes finding the right file quick and effortless without having to switch between Google Suite, Microsoft Office, Slack, Dropbox, Trello, Outlook and other popular work apps. Most of your workday is filled with barriers to finding the information (files) you need to keep projects moving. Eliminate the need for employees to recreate assets because they simply can’t find them...that shouldn’t be acceptable and any company! With cross-platform visualization, know exactly where every copy of the file exist to locate the most up-to-date file version. Digitile works alongside your favorite cloud business apps. We make it easy to handle all your cloud content with just one login without disrupting your existing solutions. 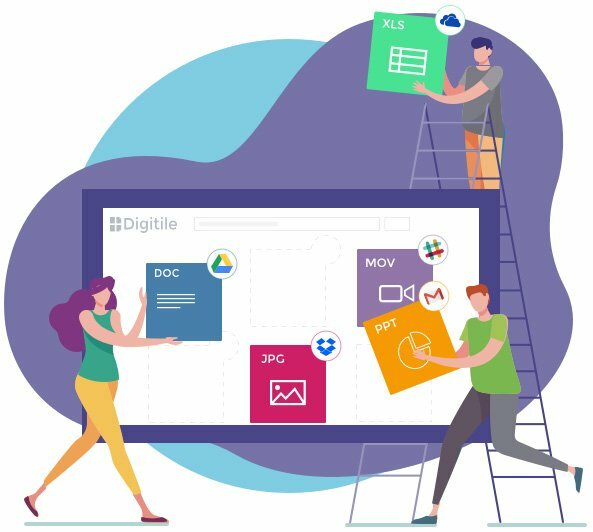 Digitile eliminates the drudgery of searching and manually opening folders and files so you can quickly put your fingers on the right file every time. Eliminate the need for employees to recreate assets because they simply can’t find them...that shouldn’t be acceptable at any company. "The precision of Digitile's file search engine is outstanding. It lets me do actual work communicating with my clients faster instead of laboring through the search process." "I work with several partners using different Storage Drives. Some use Dropbox while others use GoogleDrive. Digitile gives me one place to search and find my files. It makes life super easy, not having to search aimlessly." "We live in a visual society, and these guys are turning file systems into a visual interface, not to mention more intelligent search functions."